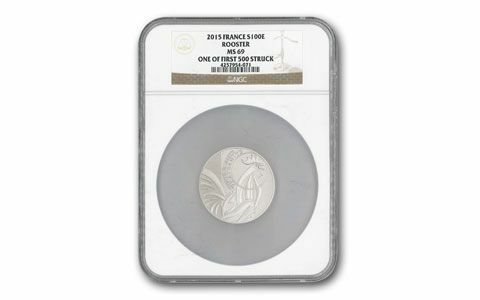 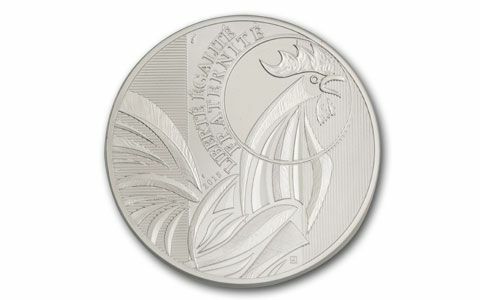 A 2015 100 Euro 50 gram silver Rooster coin approved by the Monnaie de Paris (Paris Mint) and certified by NGC (Numismatic Guaranty Corporation) as “One of the First 500 Struck.” Coins will be in Mint State 69 (MS69) condition. 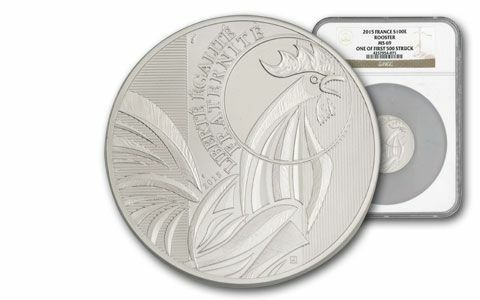 Coins will arrive with a copy of the letter from the mint certifying they are the first 500. Coins will arrive in a black velvet pouch.